The first recorded use of the word cocktail is found in The Morning Post and Gazetteer in London, England on March 20, 1798. But obviously people had been drinking spirits in many constellations a long time before then. 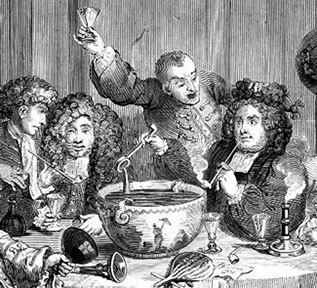 In the 17th century, the most common way of drinking alcohol was straight up or from bowls mixed with sugar, water, fruit, spices, wine and spirits - the so called punches that were adopted in from India by the Englishmen in the early 1600's. season and whatever spices that were available, and he would definitely use gin as the base spirit, since it was in the middle of the Gin Craze and everybody wanted gin. We have gathered a selection of original recipes with gin from the beginning of the 1700's and up to 1935 where the London Dry Gin styles took over, and the use of the original Old English Gin seemed to be lost in confusion. Please enjoy this historical cocktail journey responsibly! This recipe for a nice warm punch could easily have been made by James Ashley in 1731. The same recipe became the winner of the annual punch competition at Kitjn Cocktail Bar in Copenhagen 2011. Serves a company of 10 - 12 people. Instructions: Prepare the infusions two days before and store in a cool place. Pour all ingredients into a boiler and warm up until boiling point. Garnish with slices of fresh oranges and add extra sugar if required. Serve warm in small cups with a teaspoon. The name Julep (rosewater) origins from Persia in the 1400's and is more or less a cold punch, traditionally served In a silver cup. 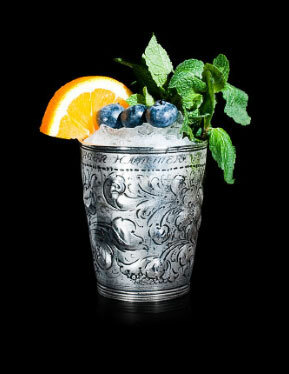 In 1803 the first Mint Julep is being served in London by John Davis, and in 1817 bartender Orasmus Willard serves one of the first Juleps in America at the New York City's Hotel when a stranger asks for a Iced Mint Julep. Instructions: Muddle mint leafs and Curacao and shake with gin. Double strain over crushed ice and top with club soda. Garnish with mint and fruits of the season. The term was first used in 1695 to describe a mixture of beer, spirits, and sugar, heated with a red-hot iron : "Thus we live at sea, eat biscuit and drink flip". The iron caused the drink to froth (flip). 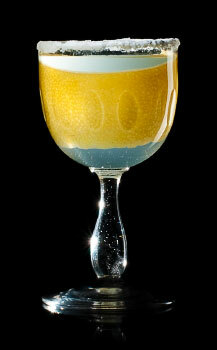 In the early 1800's the Gin Flip was made by whipping egg yolk and sugar, mixing it with gin, nutmeg and heated beer. Instructions: Whip egg yolks and sugar into a frothy mass and add gin and nutmeg. Heat beer up to boiling point and discard of any foam. Pour the egg mass into a solid glass and add the beer while stirring. Garnish with nutmeg and serve warm. The Sangaree derives from the Spanish word "Sangre" (Blood) and is dated back to 1736 in an issue of the British Gentleman's Magazine: "... a punch seller in the Strand had devised a new punch made of strong Madeira wine and called Sangre." 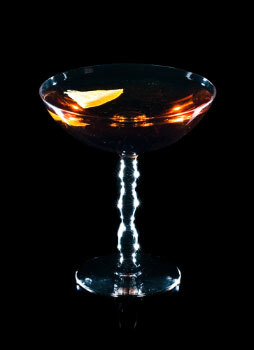 The Sangaree became a single served cocktail in the 1860's when adding a bit of Port wine to a Gin Toddy or a Gin Sling. 6 cl. Old English Gin. Instructions: Shake gin and sugar with ice and strain into a small glass. Add the Port wine on top to show the "Sangre". Serve with a little grated nutmeg. The Crusta dates back to the early 1800's and there are quite a few different recipes. But all agree that the cocktail must be presented in a wine glass with sugar on the rim and a lemon peel all around the inside of the glass. Instructions: Shake all ingredients with ice and strain into a wine glass prepared as above. The concept of a Smash is to extract the essential oils from spices and herbs, just as in punches and juleps, and the name it selves indicates that the particular botanicals can be smashed to get the flavors out faster than one can do in an infusion. Here's a nice palatable version. Instructions: Muddle mint and sugar with lime juice and add gin. 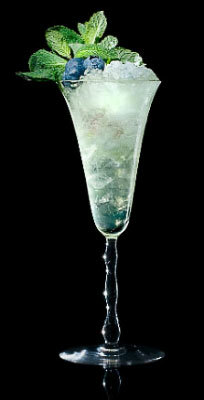 Stir with ice and double strain into a fancy cocktail glass with crushed ice. Garnish with mint and fruits of the season. Add a straw if required. 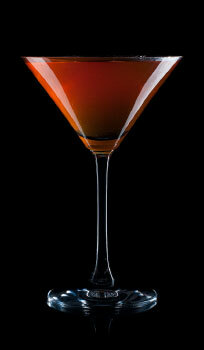 According to Mr. Simon Difford this vintage cocktail has undergone a lot of tweaking over the years. The essential DNA of the Daisy involves adding a little soda water to a Sour, and by the early 20th century, grenadine had become the traditional sweetening agent. All versions, however, agree that a Daisy should be cold, refreshing and garnished with seasonal fruit. Instructions: Combine spirit, juice and syrup with ice cubes in a shaker. Shake and strain into a fancy cocktail glass with ice cubes. 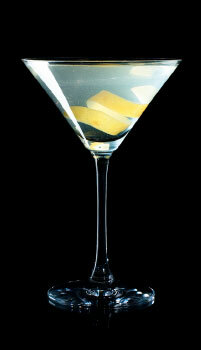 Top with club soda and garnish with lemon. The Collins and the Fizz are closely connected, and are both made from a base spirit, lemon juice, sugar and carbonated water. 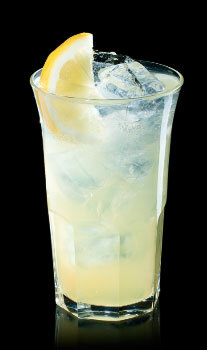 Bartender Jerry Thomas made variations of the Collins with whisky and brandy, and in 1874 he made a Collins with gin, and named it after the famous Tom Collins Hoax that were going on in New York at that time. Instructions: Shake up well and strain into a large bar glass. 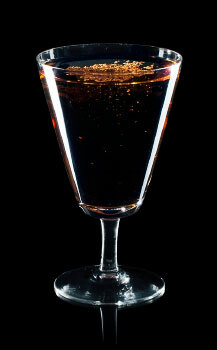 Fill up the glass with plain soda water and imbibe while it is lively. The idea of making the Rickey came to bartender George A. Williamson in 1880 at Shoomaker's Bar in Washington DC when he saw Colonel Joe Rickey squeeze half of a lime into his whisky and soda and drop in the glass. The Gin Rickey came to live in 1882 with this recipe from Harry Johnson's Bartenders Manual. 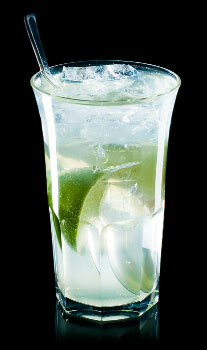 Instructions: Fill a tall glass with ice and half a lime. Add gin and limejuice and top with club soda. Serve with a spoon. A delightful jewel from Harry Johnson's Bartenders Manual of 1882. The recipe specifies sweet vermouth to sustain the complex flavors of more than 100 different botanicals all together, and we have chosen a white type to keep the green look of an Emerald. Instructions: Stir all ingredients and strain into a cocktail glass. Add an olive and squeeze a piece of lemon peel on top. 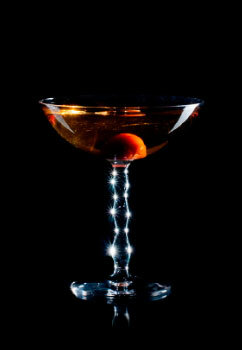 The Tuxedo Cocktail is another elegant creation from Harry Johnson's Bartenders Manual of 1882, combining the lovely flavors of two promiscuous spirits: gin and absinth. Instructions: Stir all ingredients with ice and strain in to a cocktail glass. 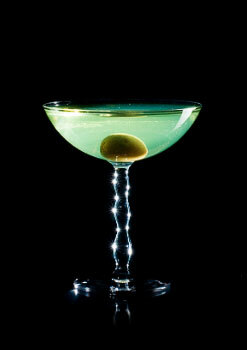 Garnish with a Maraschino cherry and a lemon twist. This predecessor of the Martini was probably invented by Jerry Thomas in the early 1860's when he was a bartender at the Occidental Hotel in San Francisco, serving for travelers going to Martinez. 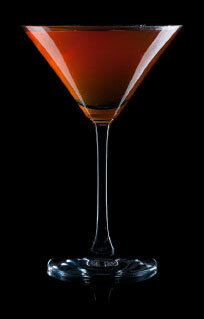 However, the first written recipe is found in The Modern Bartender's guide by O.H. Byron. Here is the first written recipe from the 1887 post hum edition of Jerry Thomas' cocktail book. Instructions: Shake up thoroughly, and strain into a large cocktail glass. Put a quarter of a slice of lemon in the glass, and serve. If the guest prefers it very sweet, add two dashes of gum syrup. The two contestants, Jerry Thomas and Harry Johnson, both wrote about the Fix, and when Johnson in 1882 adds raspberry syrup to Thomas' recipe from 1862, it pretty much appears like the Bramble as we know from the mid 1980's. Instructions: Fill up an old fashioned glass two-thirds full of shaved ice, stir thoroughly, and ornament the top with fruits in season. 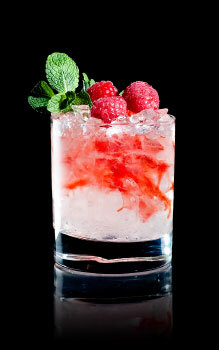 Pour raspberry syrup on top and serve with a straw. Entering the 1900's the cocktail was now very popular, and bartenders at classy hotels created a great number of the classic cocktails that we are having today. 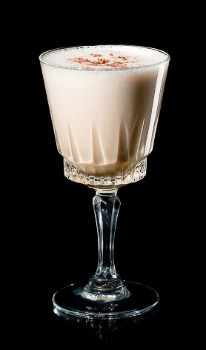 In 1930, the Savoy Hotel published its cocktail book with 750 recipes, and the Casino Cocktail is a typical transition between the old styles and the new classics. Instructions: Stir all ingredients with ice and strain in to a cocktail glass. Garnish with a lemon zest twist. The Waldorf Astoria also made a compilation of cocktails in their cocktail book from 1935, and we can see from the Emerson cocktail that the inventions of the first bartenders from the mid 1800's shines through in both the choice of ingredients, preparation and presentation. Instructions: Add all ingredients with cracked ice to a cocktail shaker. Shake well and strain into a chilled cocktail glass.